This is a book where the title leaves no confusion as to the general thrust of the subject covered. Liberators over the Atlantic is certainly one of those. More specifically it is the autobiographical story of one Jack Colman, edited by his son, Richard Colman. Told almost entirely from the viewpoint of Jack himself and mainly covering his life from signing up for service until he left the Liberators behind in 1943. At 286 pages it covers this part of his career in some depth and provides some nice pictures of Jack himself both of the period and later in life. This is quite the page turner without feeling like it is full of hyperbole or the author bigging himself up. Rather the opposite, Jack is very modest when relating his tales, crediting his crew mates much more than himself. His camaraderie with those crew men shines through his wistful commentary. And wistful commentary it is, more akin to an old airman relating his stories to family than a memoire. That style adds a personal touch that makes it very enjoyable to read. The only part of the book I really struggled with was the more technical sections as it is not something I have any knowledge of and is no fault of the writer. I have a feeling most people will be in the same (flying) boat and it does not detract from the story being told. A little extra background detail to give a grander strategic context would have added to the story but is not necessary to enjoy it. 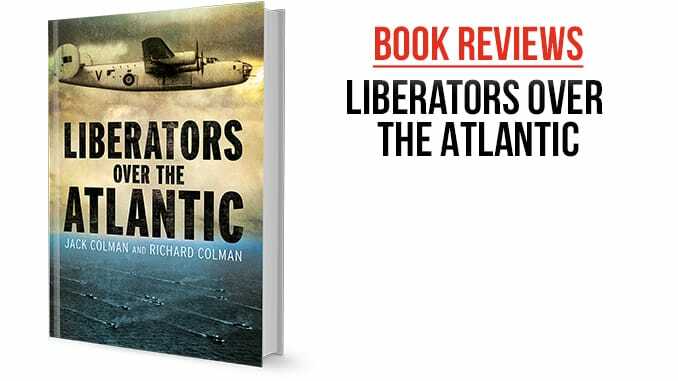 Liberators over the Atlantic covers a little known part of the Battle for the Atlantic from a very personal perspective. It does this very well in many ways and has no real flaws. A really interesting read, well written and full of excellent tales, I will leave it for you to find out how Jack refers to annoying things, it made me laugh.